I’ll start off by saying that when I visit Thailand, I kind of fall into both the tourist & local traveler categories, because although I’m from California, my dad is from Thailand and so my experiences tend to be a blend of both sides. I should also preface this by saying that if you’re looking for some insight into some of the “dodgy” things that go on in Thailand, this isn’t going to be very helpful for you 🙂 And, lastly, I’m a totally beach lover, so I haven’t actually spent time exploring the beautiful Chiang Mai (northern Thailand) where you can ride elephants, visit waterfalls, take cooking courses, etc. 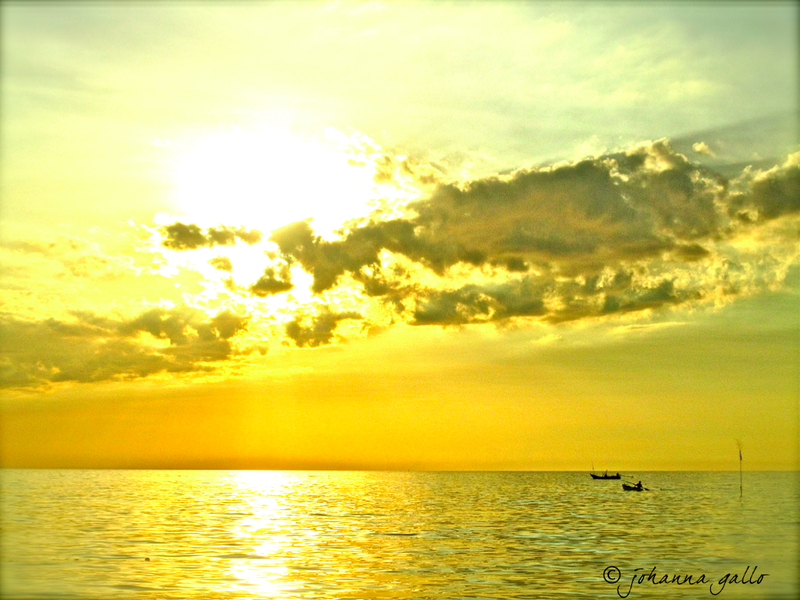 This is more about Bangkok, Hua-Hin (Petchaburi province) and the islands. Map of Thailand & Bangkok Sight Seeing | So, having said that, let’s look at a map of Thailand (below). 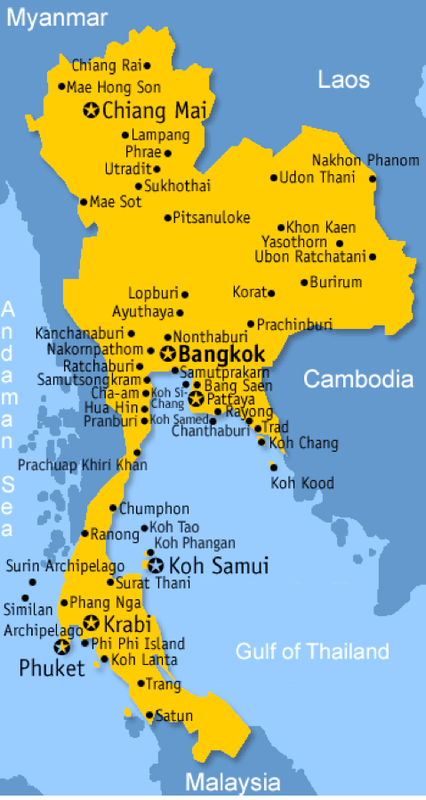 I’m going to focus on Bangkok, Hua-Hin, Cha-Am and Phetchaburi (the province of Petchaburi) and then the islands on the east and west side of the peninsula. 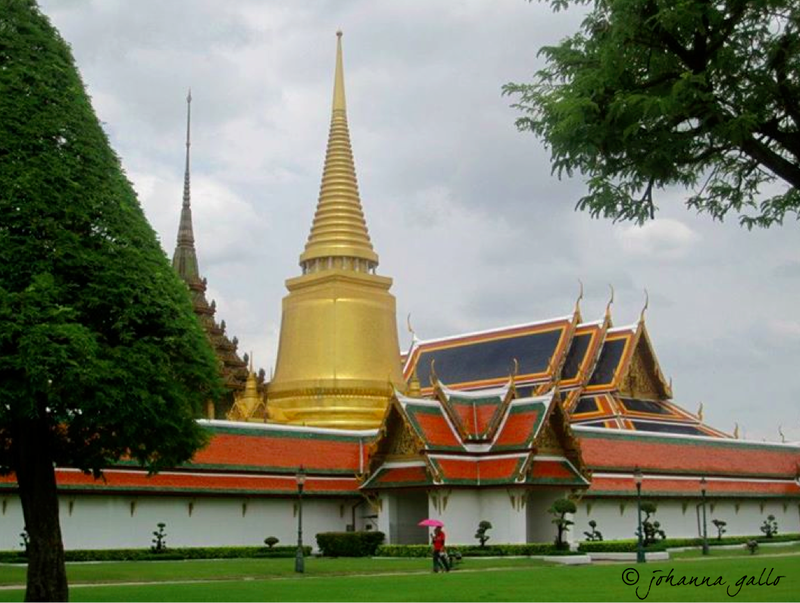 I always fly into Bangkok and spend a few days there exploring the sites: there’s the Grand Palace, the Emerald Buddha and Thai Temples which are must-sees but make sure you are dressed appropriately as you normally won’t be allowed in if you’re wearing shorts, sandals or a tank top. Khao San Road is typically where all the backpackers flock to – great priced accommodations, good food, bars, restaurants, parties, street vendors, and you can try strange things such as fried insects or grasshoppers if you’re into that sort of bravery. You’ll probably want to check out Sukhumvit Road which is safe, but very chaotic with lots of hotels (but beware that in the evening it can get a little “sketchy” if you know what I mean). Don’t miss the Tuk-Tuks, although Bangkok has a ton of smog and so you don’t want to travel too far across the city in one (plus the nice clean air-conditioned taxis are generally around the same price!) It’s a fun thing to say you’ve done though. You can catch a muay-Thai kickboxing event while you’re there – something my brothers plan to do on our trip there next month. 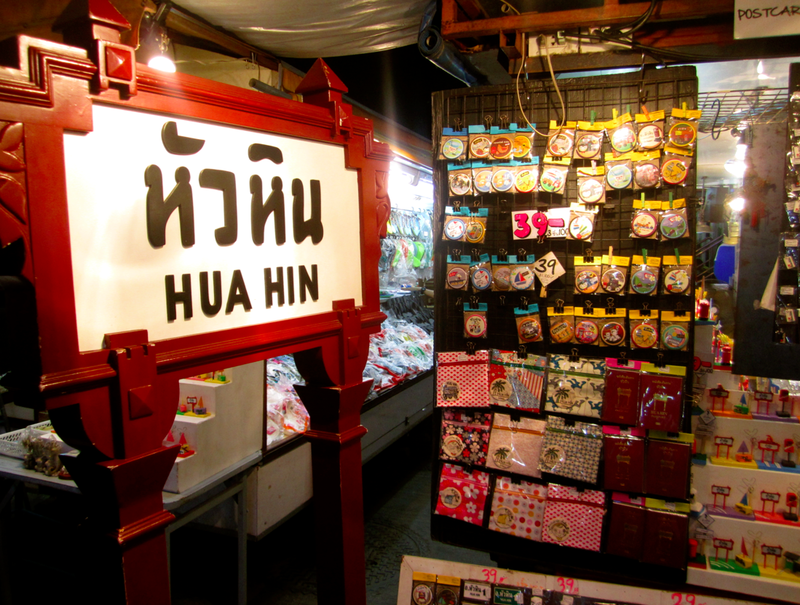 There’s also the famous “Chatuchak Weekend Market” which is the largest market in all of Thailand. It’s infinite and you can find anything you could possibly want from vintage second hand clothes and used Levi jeans, camouflage gear, fine jewelry, silver jewelry, art, home decor, silk goods, food, etc. I usually save that for when I head back from the islands (like the day before I fly home so I don’t have to carry all the extra weight around). Regarding accommodations, there are options available for every type of traveler, from the luxurious Shangri-La, Mandarin Oriental, the Hilton, the Grand-Hyatt or the Marriott Resort & Spa down to mid-range hotels, residency apartments, small guest houses and hostels. I’ve experienced everything from the amazing Marriott Resort & Spa which sits on the edge of the Chao-Phraya River (with the most extravagant international breakfast buffet spread I’ve ever seen in my life) to comfortable guest houses and bungalows on the beach. Floating Markets | There are a handful of floating markets just outside Bangkok where you can see wooden long-tail boats piled with tropical fruit and vegetables and food cooked by the local people available for purchase right off the boats. 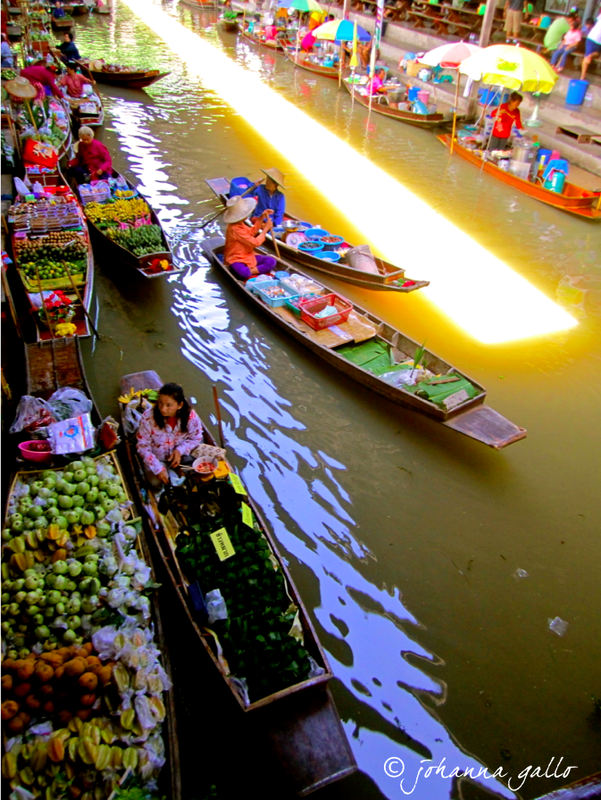 The main floating markets are Taling Chan Market, Bang Ku Wiang Market, Tha Kha, and Damnoen Saduak. Damnoen is the largest and most famous of them (where I took the featured photo) and I think it’s about 1.5 hours south of Bangkok which is easily accessible by tour bus). I definitely recommend the trip as it’s pretty unique. It’s best to get an early start as it becomes very crowded during the day. The Province of Phetchaburi, Thailand | After visiting the floating market on my last trip, we headed to the province of Phetchaburi, which is where my dad is from. We have family in the city of Phetchaburi, so we stop there for a bit and enjoy the local specialties which are absolutely delicious. Apparently this province is the known for having the best cuisine, and so most of the chefs in the Thai palace are from this area (possibly biased words from my dad, but I tend to agree that the food here is pretty awesome). 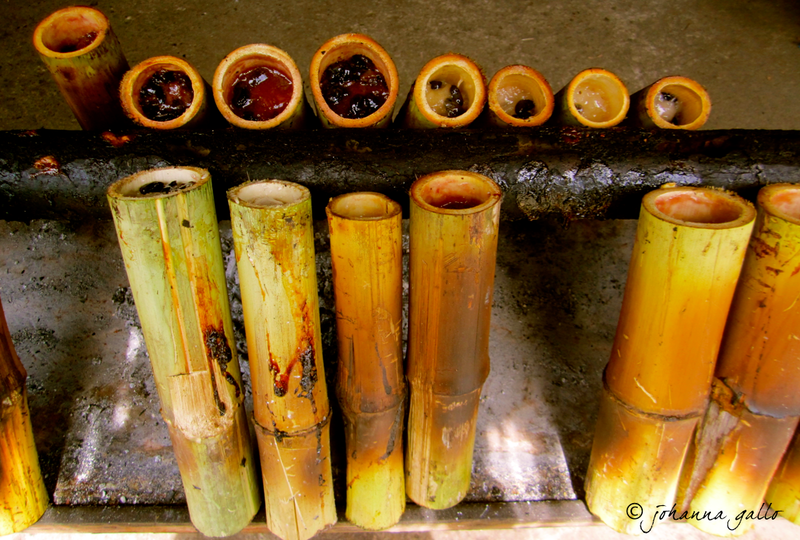 This is where you can find the sweet coconut sticky rice with black beans that is grilled in bamboo shoots over fire. It’s amazing. Their noodle soup is also fantastic and there are a couple great night markets to check out. Accommodation in this city is inexpensive. Old Summer Palace | There’s also an old summer palace named “Phra Nakhon Khiri” or “Khao Wang” (aka “Monkey Hill”) that was built by King Rama IV (the famous King from the movie The King and I or the modern version Anna and the King. 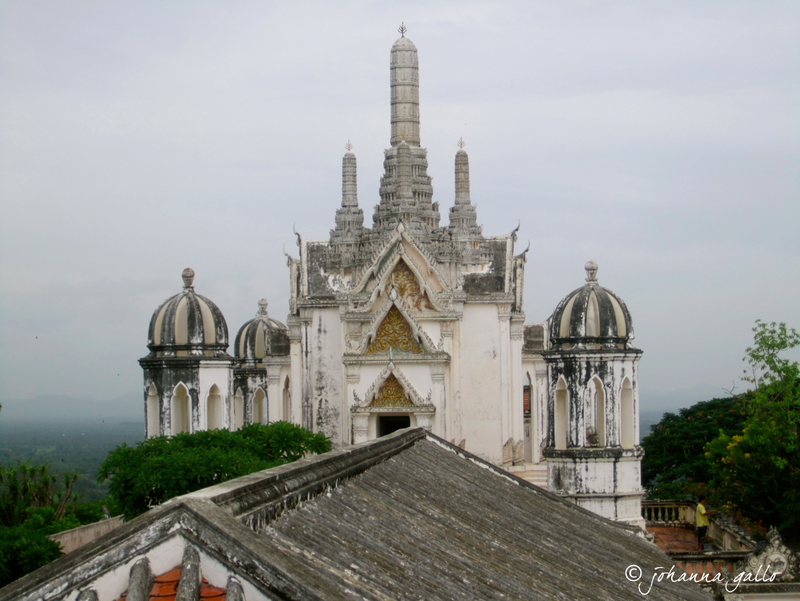 The decor is a combination of Thai, Chinese and European styles and the final construction was finished in 1858. 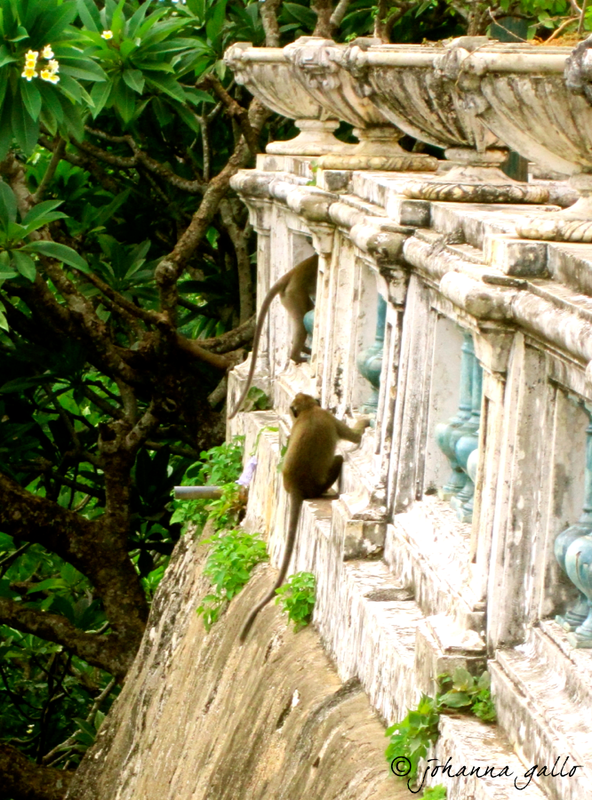 There’s a tram that will take you up to the palace as it’s situated on a hill – the only thing I’ll warn you of is that the palace in inhabited by monkeys that freely roam to and from, and enjoy stealing from unsuspecting tourists. Keep your belonging tucked away! 🙂 There is also a nearby cave called the “Khao Luang Cave” which is home to 170 Buddha statues. Cha-Am & Hua-Hin | The cities of Cha-Am and Hua-Hin, also in the province of Phetchaburi, are located on the beach and have excellent markets and fresh seafood restaurants. While they are not as “touristy” as the islands, they are starting to attract more and more tourists, especially Hua-Hin, which has a bit more to offer than Cha-Am, and is gradually becoming home (or a second home) to more and more Europeans. When I lived in Thailand briefly as a teenager, we had a condo on the beach in Hua-Hin and I remember one small German shop which was a special treat for us when we would take a break from Thai food and buy delicious German bread and/or sausages. The city has really changed in the past 15 years, but I still love visiting it (with lots of international restaurants, tons of Europeans, and even a Starbucks if that gives you a better idea). Night Markets & Seafood | There’s an amazing night market and lots of shops near the old Melia hotel on the beach (when I lived there) which has since turned into a Hilton. If you love seafood, you have to visit the open restaurant type market where you can see the fresh catch of the day, point at what you would like, and then have them cook it right there and bring it to you. IT’S INCREDIBLE. 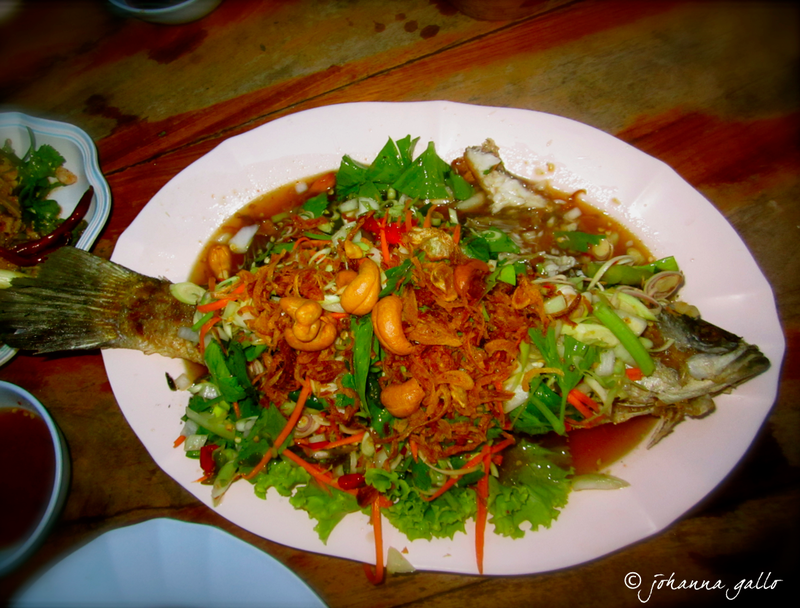 Unfortunately, I don’t know what it’s called, or how to order the dish pictured below, because I’m always with my dad in that part of Thailand, but I’m guessing that if you point and them them you want the spicy fried fish, you’ll get it right (they do usually understand English). It’s covered in seasoning, cashews, spices and it’s the best tasting fish I’ve ever had in my life. When is Your Trip? 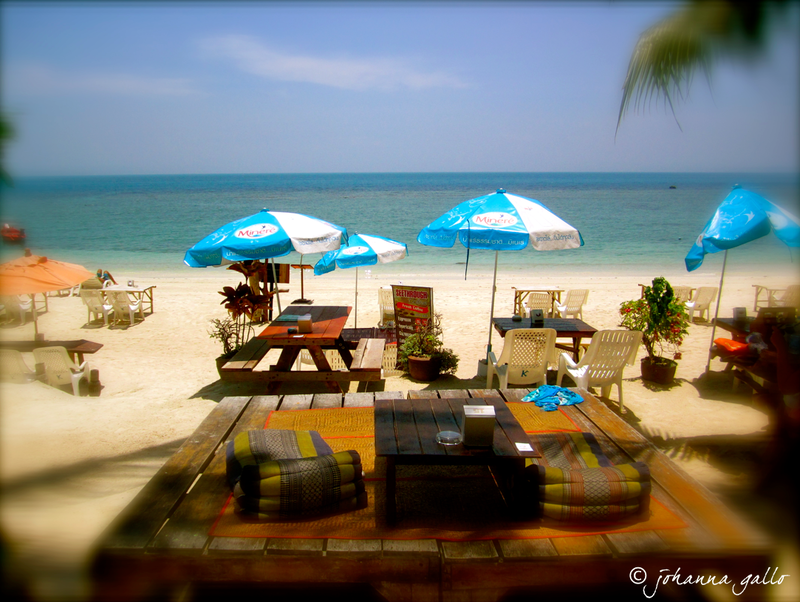 | From Hua-Hin, you have options and have to decide which islands you want to visit. While Thailand is warm year-round, the weather is a little hard to forecast (especially with global warming changing things up a lot), but March/April tends to be the hottest time of the year, July/August is generally monsoon season, and November to January is peak-season. I lived in Thailand for 1.5 years, but my holidays there have always been either in August or January. 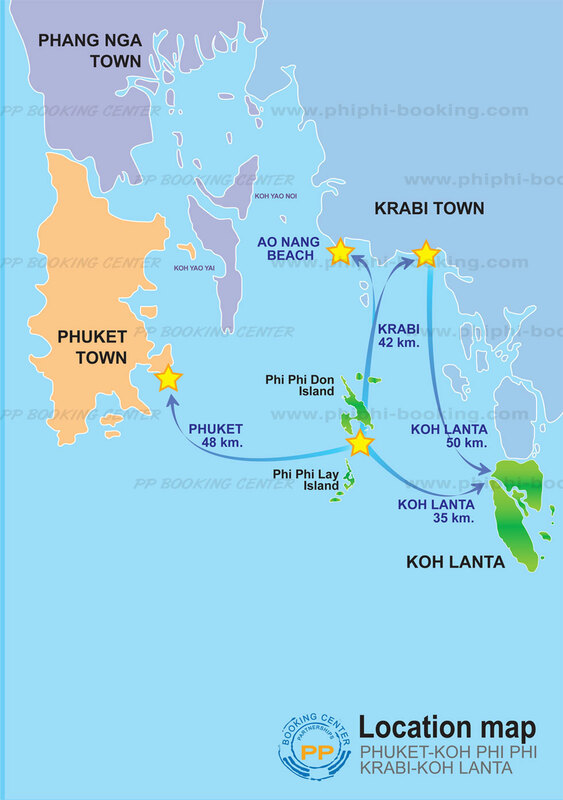 Koh Tao, Koh Phangan & Koh Samui | My last Thailand trip was in August (my sister and I decided to explore the islands together after seeing family in Bangkok and Phetchaburi), so we jumped on a bus in Hua-Hin and headed to the port of Chumphon (see map below). 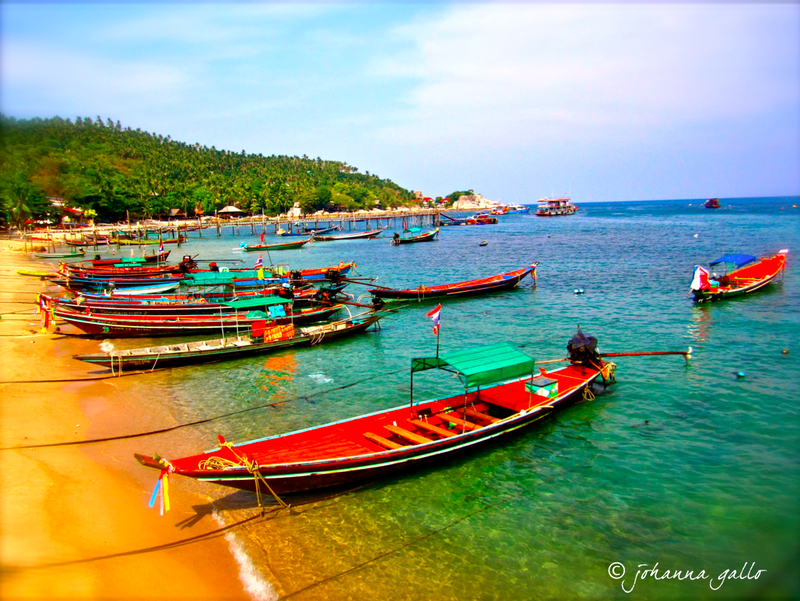 We took a ferry boat from there to Koh Tao, and then island hopped down to Koh Phangan, ending on Koh Samui. From there we took an express ferry boat to Surat Thani and caught a flight back up to Bangkok (flights are roughly an hour and run about $100-125US roundtrip). 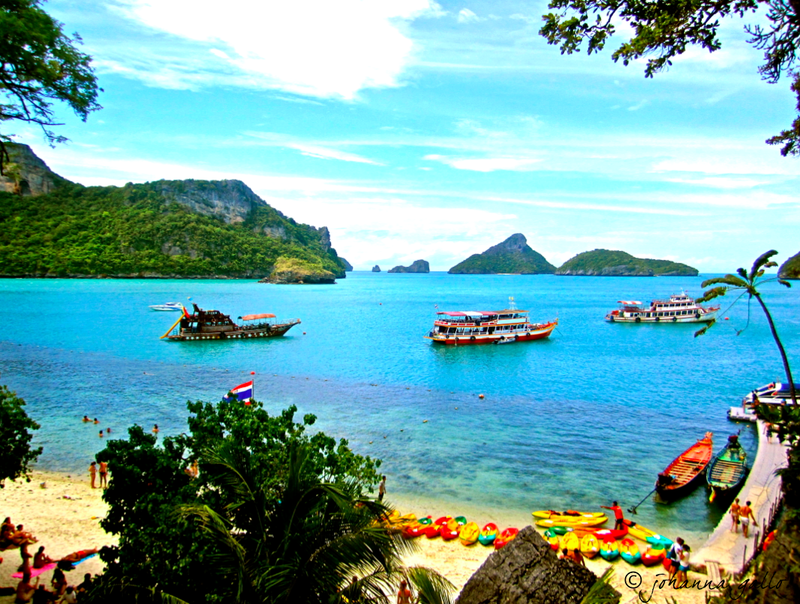 You can also fly from Bangkok to Surat Thani, start with Koh Samui, and do the island hopping in the opposite direction. We opted to take a flight back from Surat Thani, but for the more budget-conscious, you can also take an overnight bus. 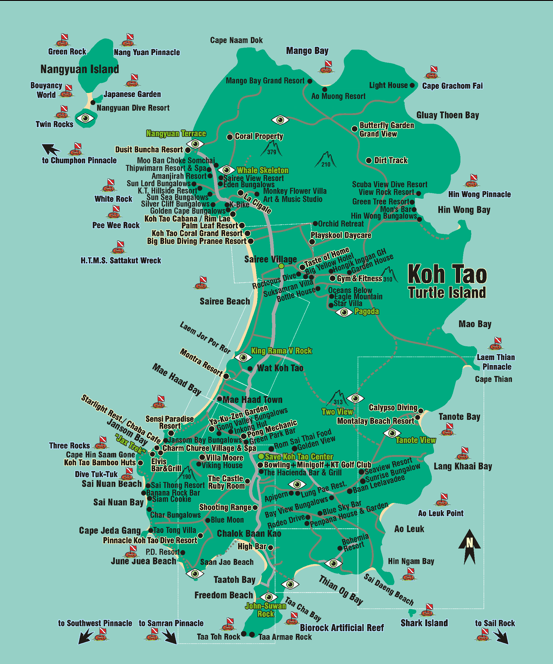 Koh Tao | Koh Tao is extremely small and quaint and it’s famous for scuba diving (for the diving enthusiasts). It’s also very inexpensive to get certified there. We spent the first couple of nights in a bungalow resort in Tanote Bay (mid-east side of the island) in a resort called the “Tanote Bay Family Resort”. Prices were very reasonable and it was pretty quiet, with mostly families, couples, and people interested in diving. NOTE: you’re better off if you have a backpackers style bag as opposed to a suitcase (personal fail) because you have to take a bit of hike up to the top bungalows with a view. Another great option (directly across from this place) is an accommodation called “Montalay Beach Resort.” And lastly, one of my sister’s who went there on a previous trip recommended “Freedom Beach Resort” and “Taatoh Resort” which are located in the same general region (southern tip of Koh Tao) right next to Chaloke Ban Kao, the second largest beach, (a hidden treasure that’s cozy and quiet beach with the fitting name “Freedom Beach”). We stayed directly across from a dive school named Calypso which is run by a very friendly German guy. After a couple nights on the quiet side, we ventured to the other side of the island, the more “lively” popular side where all the young people tend to hang out. This will require a very bumpy ride in the back of a pick-up truck or motorcycle on an unpaved road across the island (but we enjoyed it). It’s not far from the port on the mid-west side of the island. The famous area is in Sairee Beach, where you’ll find all kinds of street vendors, action, late night markets and pubs, Lotus Bar, roti (a pancake-crepe type dessert you have to try!) and lots of delicious food, naturally. Partying too. Obviously. Koh Phangan | From Koh Tao we took a ferry boat to Koh Phangan (we never booked these things in advance, or the hotels as we just wanted to wing things and not be committed to packing up and moving at any particular time – and never had a problem with finding accomodations). 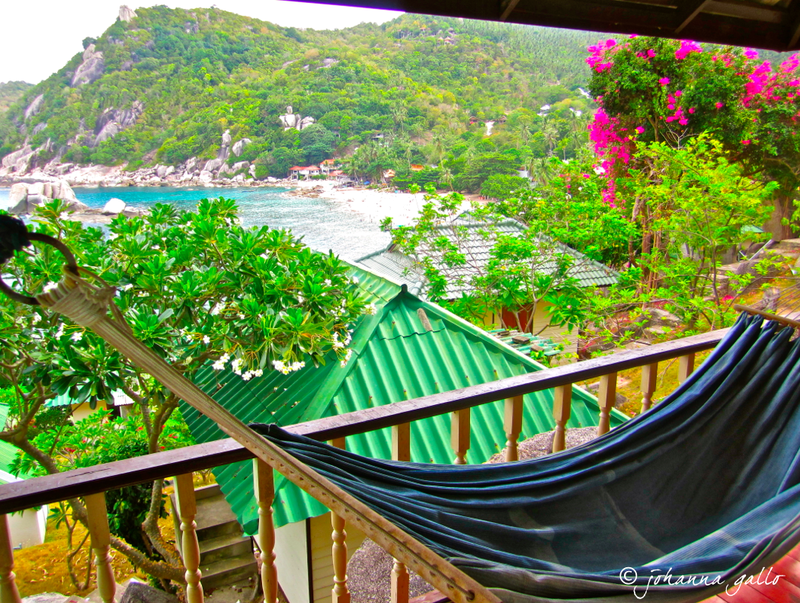 We arrived in Koh Phangan and ended up staying on the northern side of the island, in Haad Yao, the first night. It was the quieter side of the island, full of families and couples, but since we weren’t there for the partying it was great. Our modern AC bungalow was right on this beach in Haad Yao. So, after soaking up the sun and relaxing on the quieter side of the island, we headed down to Haad Rin, the very southern tip of the island, which is, again, a lot more lively, full of young people and backpackers – and also where the world famous full moon parties happen. The beach is lined with hotels with all different price ranges, you’ll never haver to search far for food as everything is pretty much open 24 hours there – and if you want a casual bungalow experience, there are two places I can recommend. One is situations literally next door to the Cactus Bar (where I stayed) where you can step outside your room, have dinner and dance on the beach… and the other is called Leela Beach Resort, which is in Leela Beach. Koh Samui | From Koh Phangan we headed to Koh Samui (like Phuket, it’s not a must-see since it’s pretty commercialized, more so than the other islands). I’m not familiar with the “best” spots to check out on this island, but my sister and I stayed in Chaweng Beach (east side of the islands) which turned out to be a very lively spot as well. 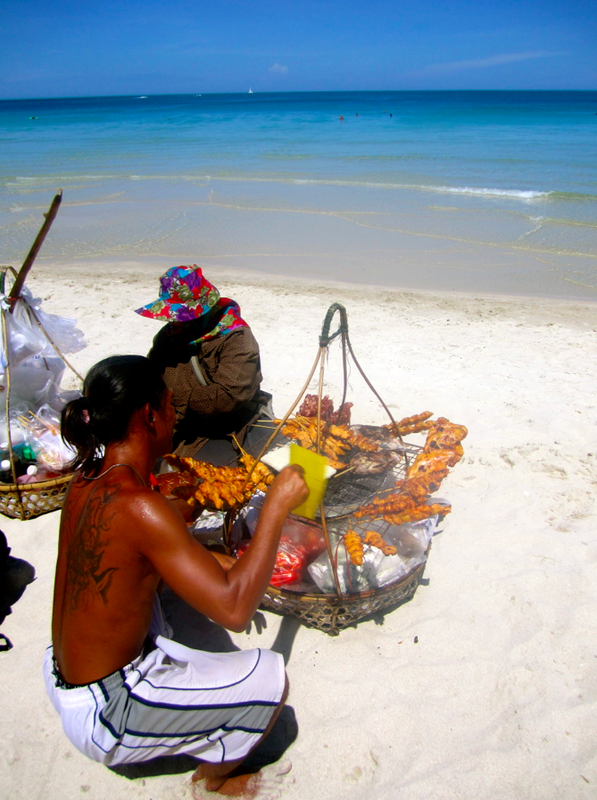 You can expect beautiful beaches with clear water, food vendors selling chicken sautee (grilled chicken skewers) and sticky rice and other goods, plenty of restaurants (including Italian, German, American for when you need a break for Thai food, fast food, and plenty of bars and pubs that go all night). 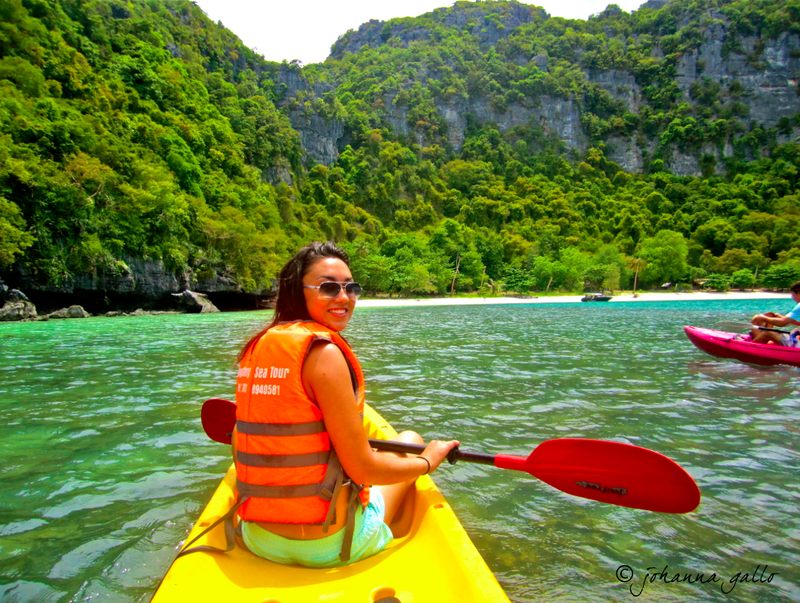 Kayaking & Hiking Excursion | My sister and I decided to go on a excursion off the coast of Koh Samui, which turned out to be the best idea – we hiked up a huge mountain and saw incredible views and kayaked around some caves – it was incredible. (You can find adventure/excursion offers everywhere). 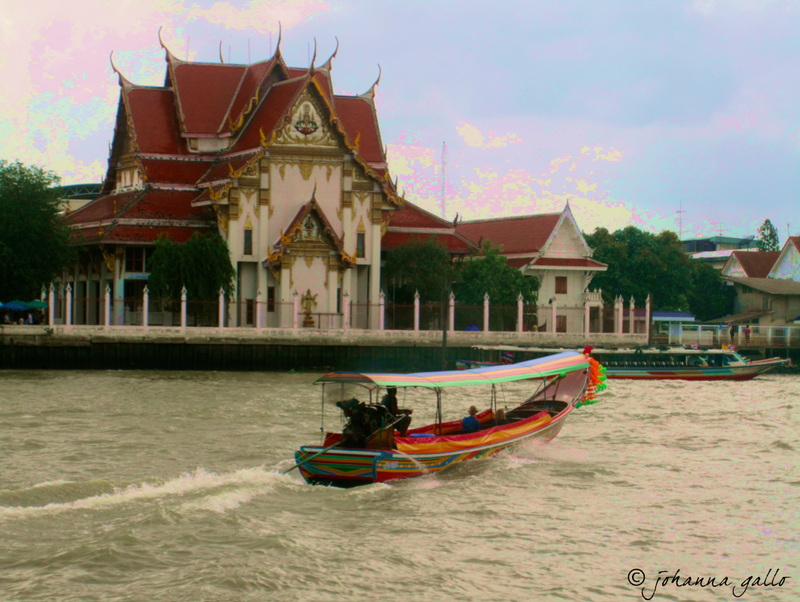 Heading Back to Bangkok | When it was time to fly back to Bangkok, we left Chaweng Beach and took a bus/taxi to the opposite side of the island, where we jumped on an express ferry departing from Na Thon Pier to Surat Thani. Keep in mind you’re in Thailand, so don’t freak out if things don’t leave on time, or seem a bit disorganized. I remember being there with my sister at the pier, waiting for what seemed like forever for the ferry to depart to Surat Thani because we had to catch a flight – we made it, but we were a bit concerned for a minute there! 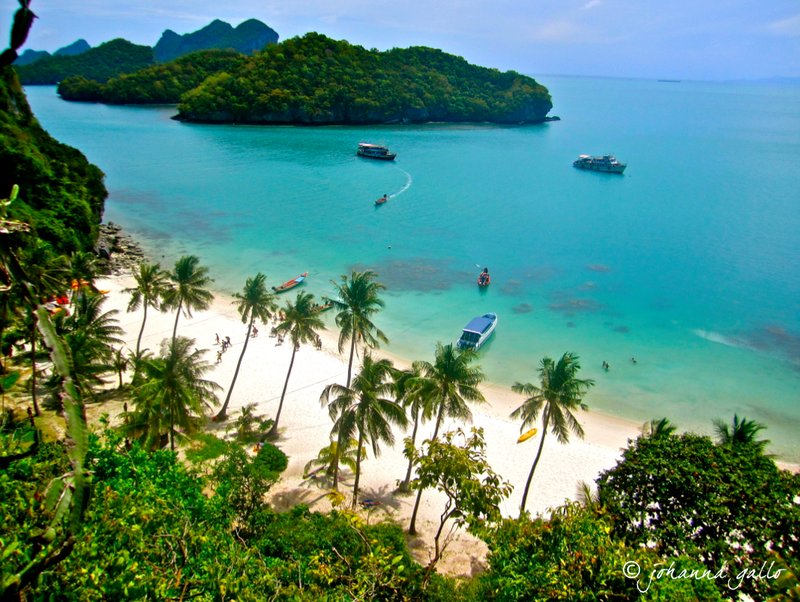 Phuket, Koh Phi Phi, Krabi, Koh Lanta | Now, if you decide to visit the other side of the Thai islands (west) it’s easiest just to take a direct one-hour flight from Bangkok to either Krabi or Phuket. And from there you can take ferry boats and do your island hopping. On one of my previous trips in January we flew to Phuket (spent a couple days there) and then headed to Phi Phi Don by ferry. Phi Phi Don is the larger of the Phi Phi islands (the only one that has hotels and restaurants). 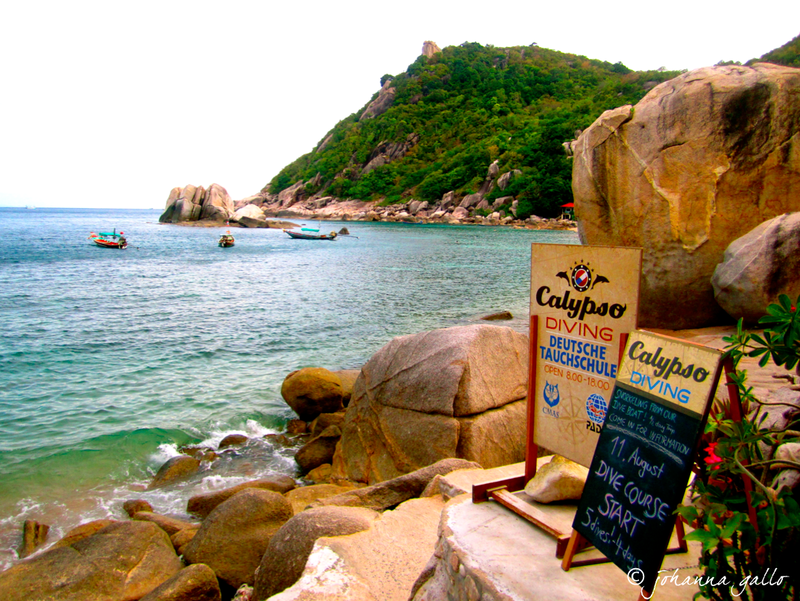 Check out my post titled “Escaping Winter: A Quick Thailand Travel Guide” for more info about the islands on the west. 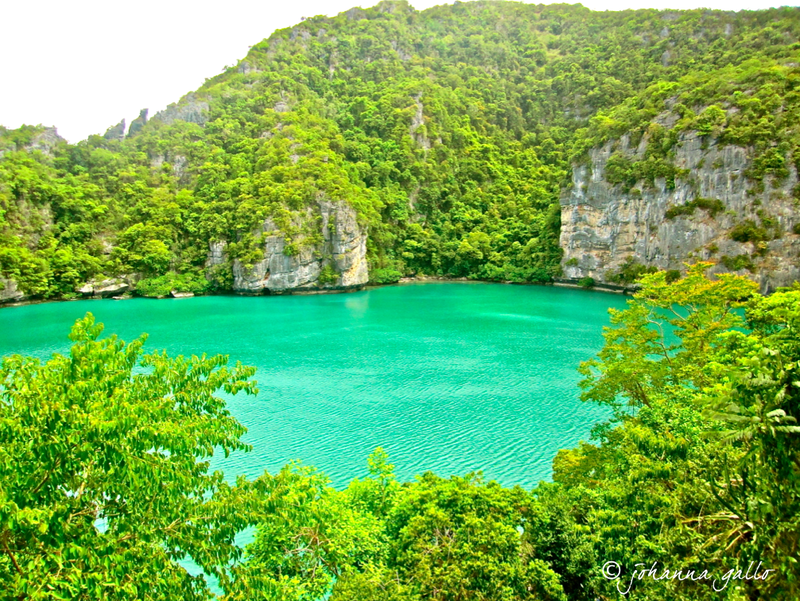 “The Beach” | The smaller island, Phi Phi Lay, where the famous movie “The Beach” with Leonardo Dicaprio) was filmed is a protected historical park (see photo below). You can take a long-tail boat ride there and spend the day snorkeling, but you can’t sleep there and you won’t find any restaurants. It’s absolutely gorgeous though. We stayed there for a few days at a nice, more luxurious hotel there – but I know that there are also a ton of economical options including great bungalows on the beach. We spent the days exploring the island, kayaking and snorkeling. So helpful as we are heading to Thailand in February! I will keep checking your beautiful blog. Keep traveling! Ok, I want to go this January now.